Coco Chanel was a visionary, feverish in her pursuit of a style that represented comfort, freedom from constricting fashion diktats and above all, singular elegance. During his tenure, Karl Lagerfeld has treated this legacy with the respect it demands, combined with an unerring ability to gauge the zeitgeist. The result? Decades of triumphs, of cultivating a customer who believes in timeless quality, with a caveat thrown in — possess a frontrunner NOW as much as an icon FOREVER. 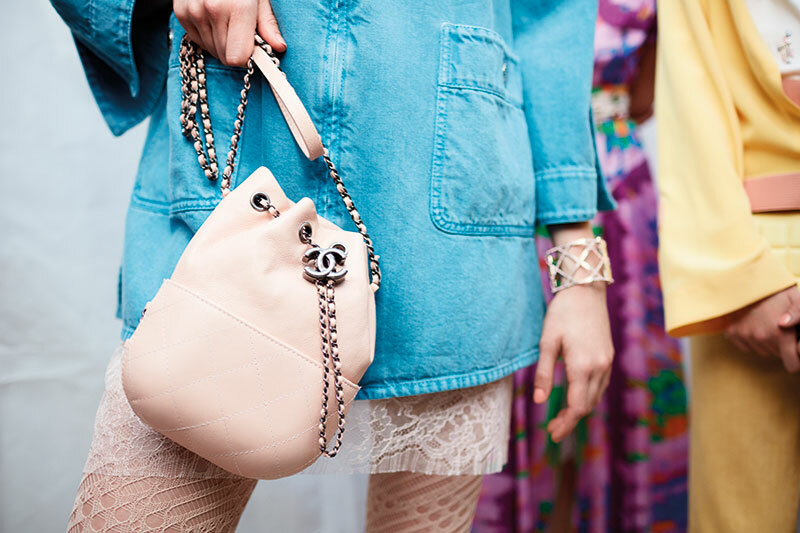 When it comes to their bags, the label can boast a sizeable cult following, that has made the 2.55 or the Boy bag more than mere accessories. The latest entrant, Gabrielle, is slated to hit stores this season. Inspired by vintage binocular cases that men toted along to races, it is an homage to Madame Coco’s underlying philosophy; adopting principles from men’s fashion and translating their ease into slick feminine avatars. Though moulded from a rigid base, the bag malleably shapes itself to the female form, supporting movement and shift. Adjustable straps of leather intertwined with gold or silver metal allow it to be worn over the shoulder, across the body, or even both ways together. It is the age of more is more, after all. 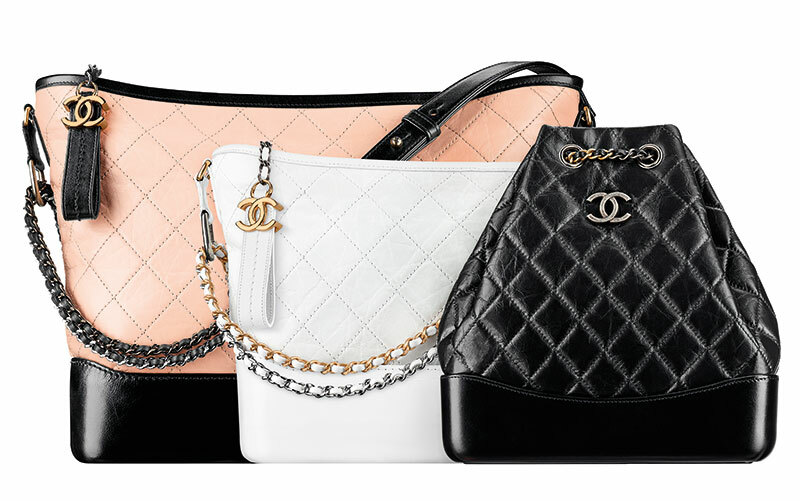 Aged calfskin and a signature quilted body are a nod to the eternal Chanel aesthetic and the garnet cloth lining emulates the first bags Coco ever designed. The addition of navy to the classic black or flesh tones against white create a trio of colour options. 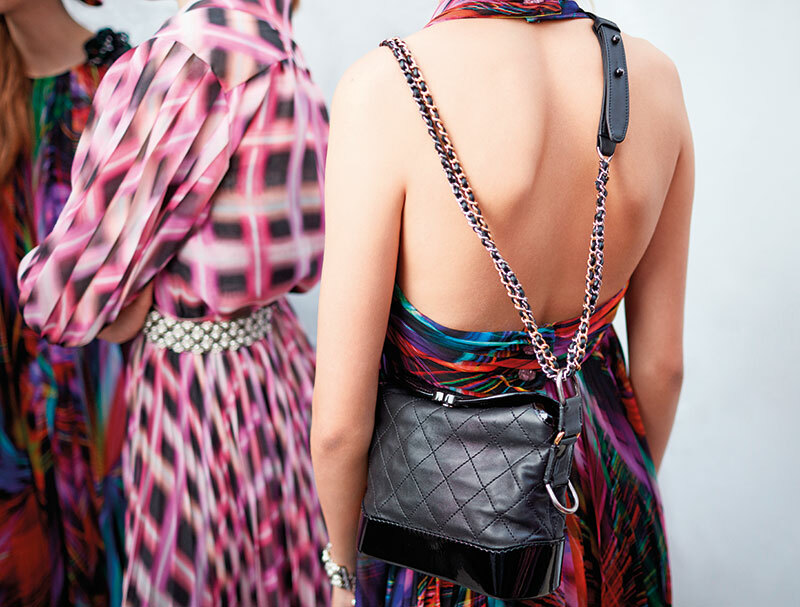 The bag morphs into a variety of versions; there’s the backpack for the sporty and fuss-free, the large shopper for the woman who just does not know what to leave behind, and a duet of a purse within a hard case, for those in perennial search of the unusual and new. This last version offers a more generous palette, including cheery summer shades like yellow, pink, red, blue and aqua and will also debut in python for the ultra luxe-minded. We can all look forward to the Gabrielle storming her way into closets through summer and sitting pretty and polished for eons to come. Coco would be so proud.